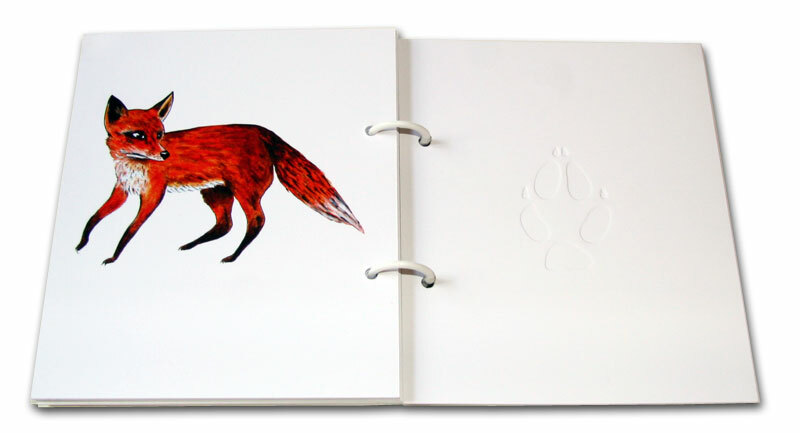 Although the book also works without the app, the additional component offered by the virtual information on the animal further enriches the visual experience. Besides the three-dimensional visual there are also acoustic contents transmitted in the process, just as a feeling of the track is possible thanks to the embossed print. Knowledge transfer, in other words, occurs here by way of a synaesthetic experience and in an innovative manner. From an evolutionary point of view the art of tracking animals can be seen as a preliminary stage of literacy. This ability helped the human development greatly, but it is less and less appreciated in our civilized environment. Reading tracks is a science of perception and interpretation of the found - an archaic passion, which has been part of the human development since the early days. Precise looking, recognition and interpretation helps us for orientation particularly in our days. 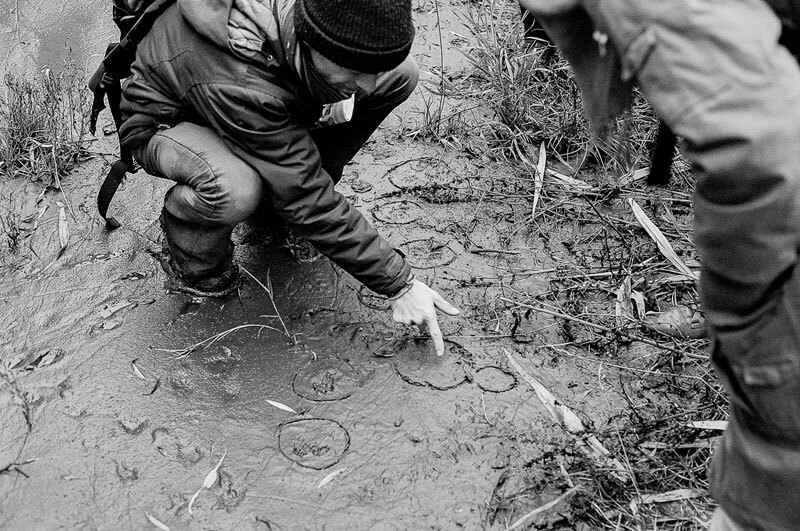 When we read tracks we automatically change our perspective and focus on unfamiliar terrain. This is how we train specific brain patterns, which help us to attentively scan our environment, to read and thus understand the landscape better. It is the cultural achievement of reading tracks that brings us closer to nature. This book shall help risk the first steps in reading tracks, in order to come into contact with the issue in a playful manner. 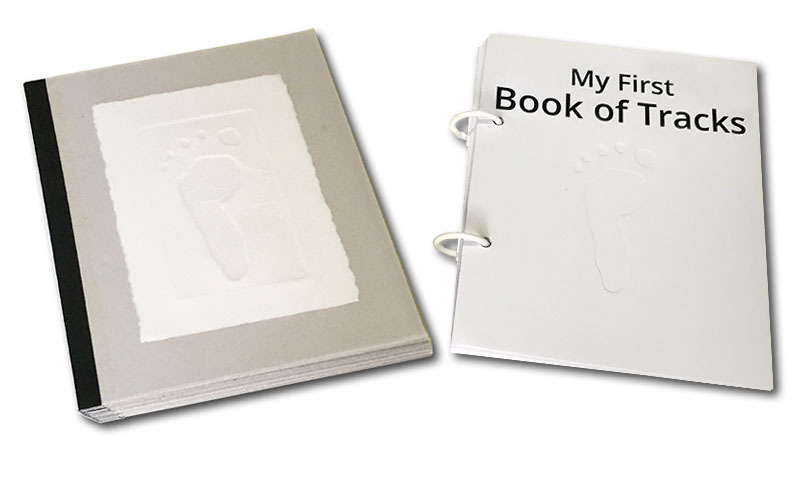 If adults pick up the book together with children, and little stories are told on the individual animals and the shape of the animal tracks in passing memorized, these should also be recognizable afterwards in the actual world around, for example when going for a walk. If a child relates a track to an animal, there comes about, at the same time, a connection with the respective creature and thus also, in a certain sense, a closeness to nature from childhood days. The free augmented reality app for iPhone, iPad and devices using Android can be downloaded from the App Store. After installing and starting the app, please select Scanning. 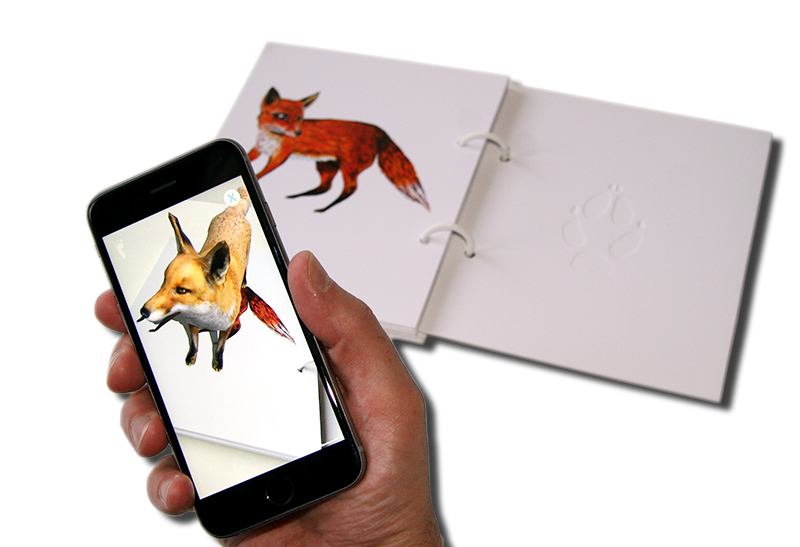 Point your Smartphone or tablet at one of the animal drawings. The free augmented reality app for iPhone and iPad can be downloaded from the App Store. The free augmented reality app for devices using Android can be downloaded from Google Play. 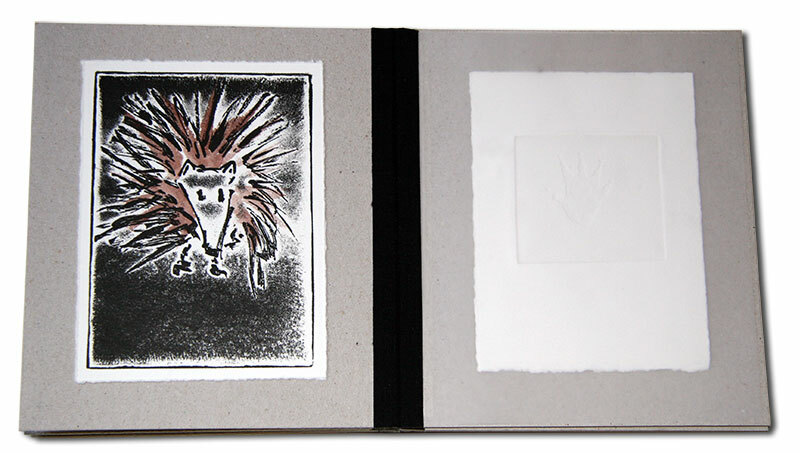 Eight coloured relief prints and nine embossed prints on handmade card, produced by hand and bound. The book My First Book of Tracks is available for EUR 18,50 plus postage and packaging. The augmented reality app to go with the book is free. The limited artist edition is available for EUR 350 plus postage and packaging. 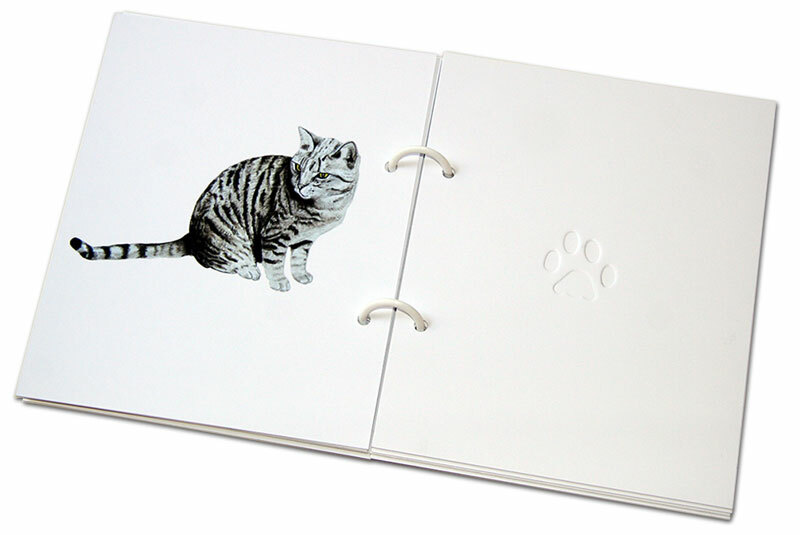 The book is an art product. To be used only under adult supervision. Many thanks to all contributors and Sponsors.